Not sure how to let go, other than to keep busy! Your centers look great! So cute! Take care of yourself! I know how you feel about your kiddos,but you can't give110% if you don't heal correctly! Thanks for such awesome center activities! I am trying to be more frugal, but these are too cute! Love all of these ideas! Are they available on TPT? Yes! These are in my newest penguin unit. Just click on the newest tab at tpt to find it. You can get to tptby clicking on the tab on the left! Your activities look great....I just purchased them on TPT...I am very excited to get them organized for the little ones. They will be perfect for what we are learning. Cute centers! So sorry to hear your minor surgery turned major. Hope you are back in action soon. Letting go is always hard, but I'm sure your kiddos will be in good hands. Best of luck on your recovery. Kathleen, wow! I am exactly the same way about leaving my kids with a sub. I go crazy just being out for a doctor's appointment for an afternoon. My para thinks I'm crazy when I call her the minute school ends. Please know that you're not weird or strange, that there are other people out there who feel the same as you. I thought you might enjoy looking at a video by Jack Hartmann on his web site (http://www.jackhartmann.com), where he does the CUTEST penguin dance. I had to buy this CD because I am addicted to using music in the classroom. If you're feeling up to it, come and look at my blog - I have a lot of freebies and a contest to enter. Where do I find these "Penguin" work sheets!!! You can find them at my TpT store - click on the link on the left! I purchased your unit last night and "WOW"! Love it! So glad you like it! My sub plans were a little ridiculous, but I know if I were a sub, I would want to run the class as similar to the classroom teacher as I can! Oh well, I do what I can, and whatever happens, happens. Right?! Wow!! These centers look fantastic! As soon as I saw them, I bought them. These activities are sure to put a smile on your Kinders faces while you are gone. Oh Honey. I am soo sorry!! My students also are LOVING these activities!! You create the most creative, amazing things!! When I grow up I want to be JUST LIKE YOU!! lol. Hugs! I hope that you are feeling better ....SOON! These look great! I own many of your units and LOVE them. I am going to get this one today! I would feel the same way you do in this situation. It is hard to be away from the kiddos. You just have to have faith that things will go well when you are not there and focus on getting better! I totally understand how you feel since I had to be gone for 6 weeks a couple of years ago. It was hard but my sub did a god job with a very difficult class. They were sooo happy when I came back though. I hope you take care of yourself and are feeling better soon. Hang in there and know that all of your great activities and plans are going to help the sub tremendously. Then pray to let go! Prayers to you Kathleen! I understand and am a control freak myself...I have only missed 3 days in the past 9 years. Your activities are great and I hope you have a speedy recovery! I would love for you to come visit my blog! I have TONS and TONS of *freebies* that you can grab! On my way over, right now! Thanks! I love your penguin stuff! Did you create it all? Where can I get it? 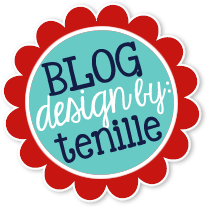 Hi Jen - you can find it at my TpT store - click on the link on the left side of my blog! Such cute centers! Can ou tell me where you got the colorful dice/block from? I would love to get one or my classroom. Kathleen I hope you are feeling better soon. It is always hard to give up control of our classrooms, a little like letting go of our own children. We know it is necessary, but have a very hard time doing it. I love your creations. I wish I was this talented. Thank you to you and all the great bloggers who share. Hi- I am your newest member. I love your activities. I think it is great you did not leave "busy work" for your sub. Hope you get better really fast. I just started a new blog. Hope you will check it out. Where can I find your vowels and blends ws? Thanks so much! Hi Ashlen - they are in my Penguins! Math and Literacy unit available at my Teachers Pay Teachers store - click on the TpT button on the left to go there!